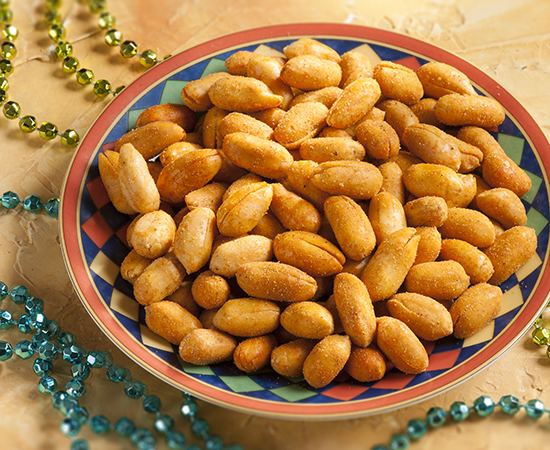 Our famous Handcooked Virginia Peanuts, seasoned with a spice blend created exclusively for us by the New Orleans School of Cooking. Celebrate the flavors of the famed French Quarter! 32 oz. tin. I'm normally extremely suspicious of any product made north of New Orleans being advertised as 'New Orleans Style,' but being a Williamsburg Peanut Shop fan for over 30 years, I decided to take the risk when they went on sale. I'm shocked at how they captured the genuine South Louisiana flavor that doesn't burn your mouth from neither heat nor salt, and so are the many family members that I have now given them to. Every single person has raved over them and has commented that they were as surprised as I was that the nuts are 'delicious,' and 'not salty,' and that they absolutely love them.